The project is the largest investment ever made in Sri Lanka. Announced in September 2014 under former President Rajapaksa, it was blocked following criticism from fishermen, activists and Catholics. An area of 269 hectares will emerge next to the capital with shopping malls, luxury apartments and a Formula One racetrack. 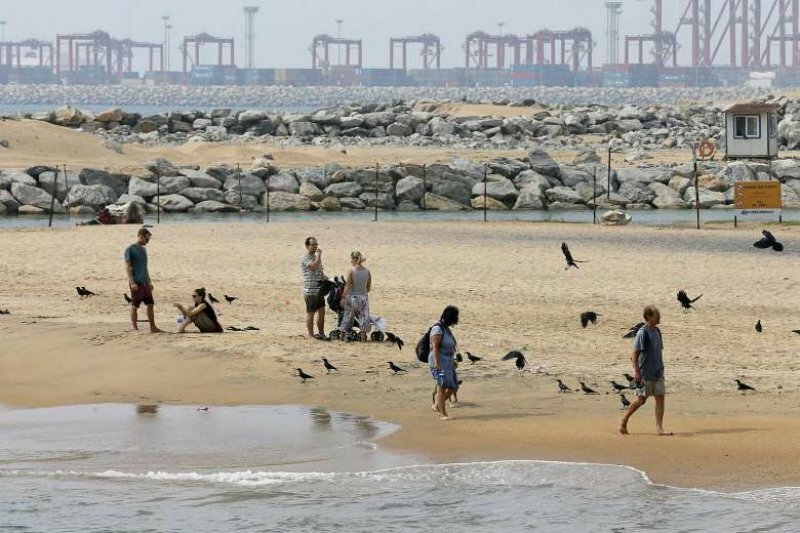 Colombo (AsiaNews/Agencies) – Despite months of protests by activists, fishermen and Catholics, and more environmental impact studies, China in the end got a green light to build the Colombo Port City, a planned offshore city next to the Sri Lankan capital. In its announcement yesterday, "The Cabinet Committee on Economic Management has recommended allowing resumption of the project subject to limitations and conditions stipulated in the EIA (environmental impact assessment)," the government said. However, it did not say what the conditions were, but official sources told AFP that Chinese investors were given permission to resume work on the project without any major modifications. Former President Mahinda Rajapaksa announced the US$ 1.5 billion port city project by the China Communication Construction in September 2014. From the start, people living in the area where the new city will be built objected to the project, and successfully got it suspended. Yet, environmentalists and fishermen always feared that the Sri Lankan government would give in and authorise it. In January, the People's Movement against the Port City, an activist group that has spearheaded the protest, submitted its own environmental impact assessment, a 400-page document with 128 negative opinions, stressing the "unimaginable damage" to the local ecosystem since the project will cover 269 hectares on Colombo’s coastline. The Chinese project is the largest investment ever made in Sri Lanka. It includes shopping malls, luxury apartments, leisure facilities, swimming pools, golf courses, casinos and even a Formula One racetrack. In addition to criticism levelled at the Sirisena administration, which had blocked the project when it was elected, China has also come in for an attack against its "hegemonic ambitions" designed to consolidate its strategy of "pearl necklace", a number of port facilities scattered in the Indian Ocean to counter India's growth in the same region.